Boeing’s drone aircraft, the Phantom Eye UAV, just completed its debut autonomous flight on June 1 at NASA’s Dryden Flight Research Center at Edwards Air Force Base in California. The aircraft intially flew for 28 minutes (a short trail run) and then set off on a solo journey that would last for four days straight. 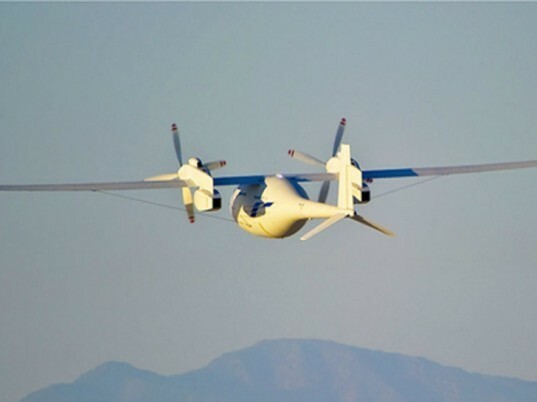 Powered by liquid hydrogen, the Phantom Eye climbed to an altitude of 4,080 feet and reached a cruising speed of 62 knots — all while only releasing water as its byproduct! Boeing officials were glad to see their persistent intelligence demonstrator take off and fly on its own. Having an enormous wingspan of 150 ft, it uses an environmentally friendly liquid hydrogen propulsion system, which allowed it to fly at 65,000 feet for four days. It can carry a 450-pound payload, too, but its goal is continuous surveillance. 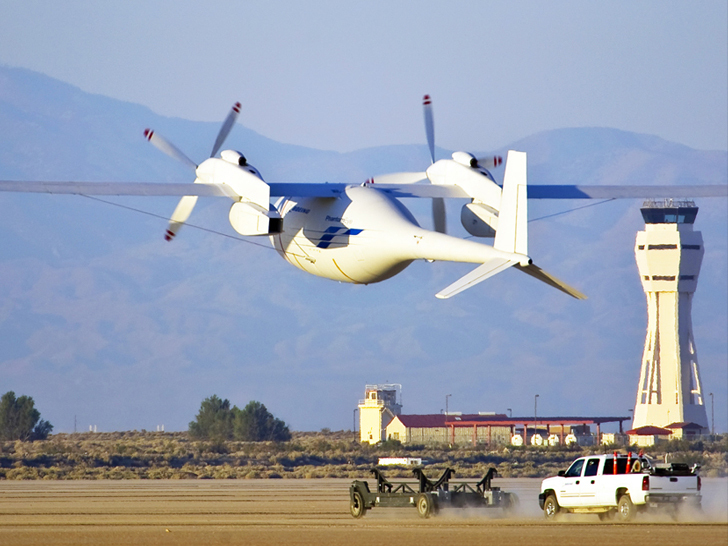 Boeing's drone aircraft, the Phantom Eye UAV, just completed its debut autonomous flight on June 1 at NASA’s Dryden Flight Research Center at Edwards Air Force Base in California. The aircraft intially flew for 28 minutes (a short trail run) and then set off on a solo journey that would last for four days straight. Powered by liquid hydrogen, the Phantom Eye climbed to an altitude of 4,080 feet and reached a cruising speed of 62 knots -- all while only releasing water as its byproduct!